Hey guys! I know that MCR broke up and everything, and I know that most people are upset about that, considering the band’s music helps you a lot. But, please, please, PLEASE DO NOT HURT YOURSELF! I REPEAT, DO NOT HURT YOURSELF! The music they had published is still out there, and remember, if Fall Out Boy can get back together, can’t MCR do the same thing in the future? Either way, please don’t hurt yourself! And if you need to talk to anyone, I’m here for any of you! 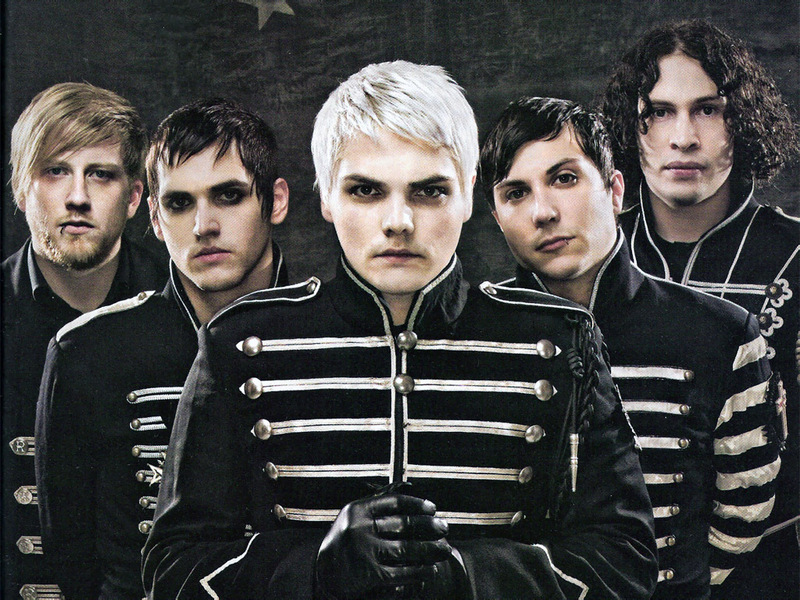 MCR is generally seen as an “emo” band for whiny, dramatic middle and high schoolers. That was definitely the opinion that I had before I started listening to them in my junior year of high school. It’s so prevalent an opinion that I hesitated to post on Facebook and Twitter about the break-up. I didn’t want to be judged for blasting “Welcome to the Black Parade” and crying over the fact that MCR just broke up. I posted anyway, but with apprehension and a decent amount of defensiveness. But here’s the thing: That post up there? That plea made to the MCR fandom? That’s important. Not everyone who listens to MCR is at risk of suicide or self-harm. They don’t all suffer from depression. But plenty of them do, and for many of the fans, MCR was the difference between taking a blade to their arm or working through it. I speak from personal experience on that. Whenever I’m so sad or angry or feeling anything so strongly that I can’t function, that I don’t want to exist and I’m tempted to hurt myself, I listen to My Chemical Romance. I use their music to drown out the voices in my head. They distract me until I can breathe again. No other band does that for me. I know I’m not alone in that. There are a lot of people who gain strength from their music, and who are feeling hurt and betrayed and are in mourning. Maybe that seems silly to you, and maybe in a few years some of them will laugh at how they feel now, but that doesn’t matter. What matters is that what they’re feeling right now is very, very real. I’m upset and I cried, but for some others, this is a tragedy. So, here’s my request to you, readers. If you see someone mourning the loss of their favorite band and it’s a band that you think is dumb or worthless, don’t mock them. Don’t make fun of those fans. Respect their feelings. If you can’t say something supportive or sympathetic, then just walk away. I truly believe the world would be a better place if we took that attitude in most situations, not just the end of a band. Now, for my farewell to My Chemical Romance, here’s the song that has been my biggest comfort for many years, simply for the lines: “I am not afraid to keep on living/I am not afraid to walk this world alone”. It seems especially appropriate now. Goodbye, My Chemical Romance. Thank you for everything.